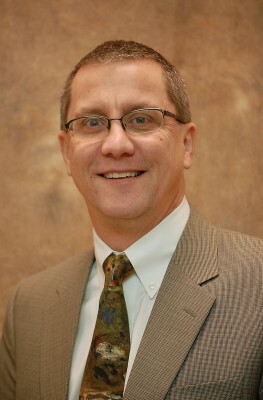 Anthony Roberts serves as the blood center’s executive director. Thank you for visiting your Community Blood Center online! CBCO is the exclusive provider of blood and blood products to 40 hospitals in a 39-county area comprising Southwest Missouri, Northwest Arkansas and Southeast Kansas. More than 60,000 donations of blood are required each year to meet the transfusion needs of our friends and neighbors. We at CBCO take the responsibility of providing that blood very seriously. Giving blood is the greatest thing you can do today, because it will make a difference tomorrow in the lives of your relatives, friends, and neighbors. This website has the tools and information that will help you in every step of the donation process. You are just a few simple clicks away from finding out about upcoming drives in your area, current blood supply levels, and from reading about real people whose lives were changed by this incredible gift. Community Blood Center of the Ozarks is your blood center, and this is your website. While you’re here, find out more information on our innovative rewards program – Life Points – that rewards donors for their efforts. Find out where you can give blood today and help save lives. I encourage you to give life to our community, and to take pride in the knowledge that your donation is wanted, needed, and appreciated. With your continued support, CBCO will continue to meet the blood needs of patients in the Ozarks for many years to come.